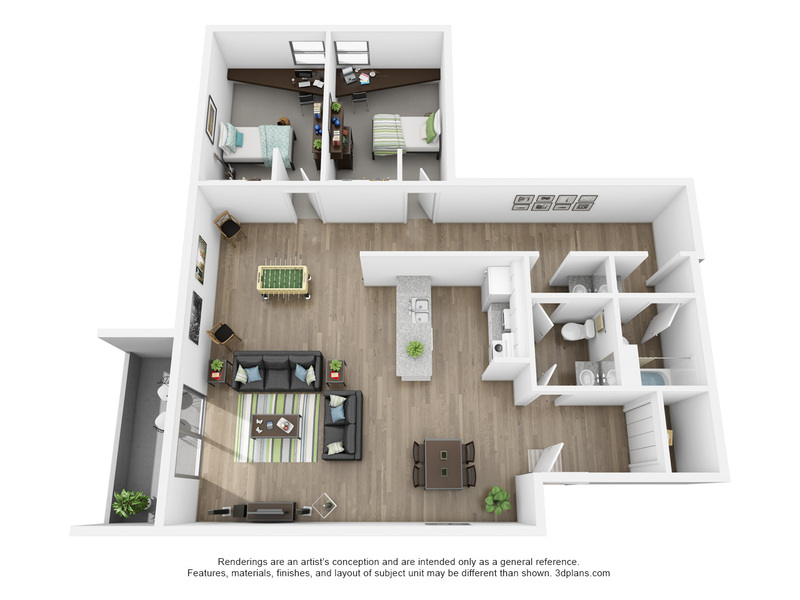 This 2 bedroom, 1.5 bathroom apartment floorplan was designed with your comfort and convenience in mind. A large open living area opens to a private patio, overlooking the courtyard or pool. Stainless steel appliances in our spacious kitchen make meal prep a breeze.